Real Estate Agent and builders in New Delhi|West Delhi ABHISHEK BUILDWELL PVT. LTD.
Three Storey kothi(Old Construction) is available for sale at a very good price. It is a 1400 Sq-ft area in LSC C-block DDA Market. You can use it for Office space,Restaurant etc. Having 3 Bedrooms which are well maintained. 150 Sq Yard Duplex Kothi available for sale. 84 sq yard double storey kothi in C-block Vikas Puri for Sale. Buy 150 Sq Yard kothi in B1 block Janak Puri at a best price. 2 Bedroom/1 Dining/Good location/North facing. Now Abhishek Buildwell Pvt Ltd has gone International. For our clients we have tie our links with International company and are happy to serve our clients internationally too. Get your dream Luxury Villas,Home, Apartments with full aminities like Golf Course,Private Swimming pool,Health club etc. Newly build 107 Sq-Yard builder floor in B-Block,Fateh nagar is available for Sale. Second floor for sale in D-block Vikas Puri. Newly Regularised MIG flat ground floor in pocket C-4/H, janak puri(West Delhi) is available for sale. Vardhman Springdale is surrounded by lush greenery area 8.1 acre of land. Springdale offers you 2 BHK , 2BHK+ 1 study room. Club House, Swimming Pool, Gymnasium and Well Maintained Landscape. Near to NH-8 High Way. Telephone & TV points in drawing/dining room. 24x7 Power backup and water supply. Provision for electrical light & fan points in all rooms. Imperia ONYX gives you an office environment where businessmans will enjoy, with state of the art and mind facilities, that help you climb the corporate ladder effortlessly. Located in the largest office hub in NCR, it offers Undivided/Virtual Office Spaces. Pre-lease Rental (per month) @ Rs. 40/- p.sq.ft. AR payable on money received from the date of Builder Buyer Agreement and on subsequent installments from date of receipt of such installment. All AR will stop in case of default on any installment beyond due date, and no AR will be paid for period of default (incl. for payment recd.) even after the default is corrected. All calculations are on BSP only. Other charges apply. For detailed T&C, please refer to the Application Form and the Builder Buyer Agreement. 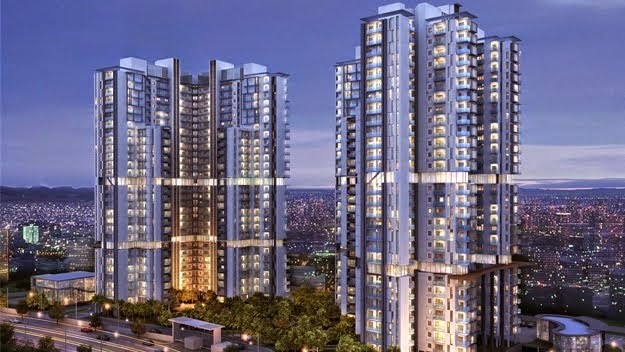 Mirage Homes covered in 5 acres of land with 6 residential towers.All apartments are three sided open with 3 BHK flats. Located in Jaypee Sports City, Yamuna Expressway on the sidelines of the F1 tracks on Buddh International Circuit. in C-block,Vikas Puri availabe for sale. Freehold newly constructed 200 Sq-Yard third floor in F-block,Vikas Puri for sale. 125 Sq-Yard Double storey kothi for sale in C-block,Vikas Puri.